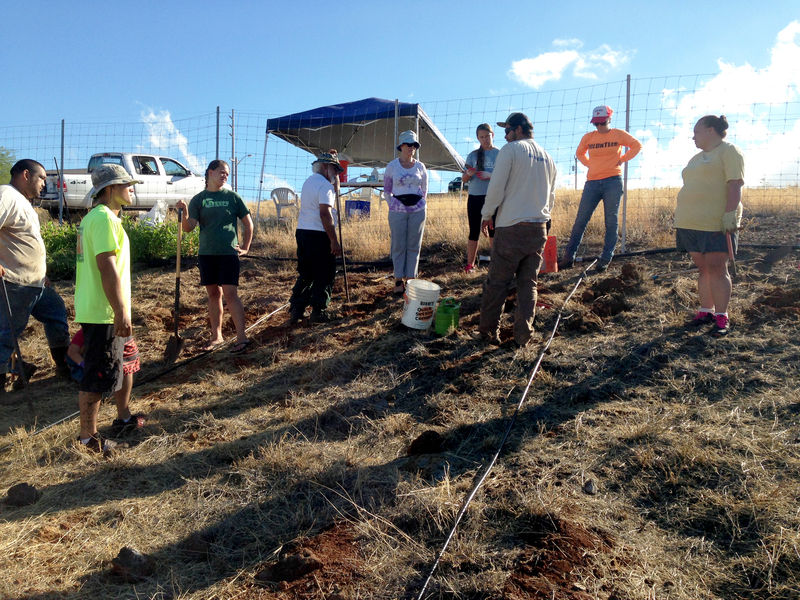 Kailapa Hawaiian homesteader Kealakaʻi Knoche waters one of the 200 newly planted native plants at today’s Kailapa Community Workday in Kawaihae, Hawaiʻi. KAILAPA, HAWAIʻI – ʻAʻaliʻi, wiliwili and pili grass will soon replace invasive grasses in the landscaping of Kailapa Hawaiian homestead in Kawaihae, Hawaiʻi. Over a dozen volunteers braved the blazing Kona sun today, ʻoʻo in hand, for the first of four Kailapa Community Workdays happening this month. Volunteers are briefed on the agenda for the day. “We put in a little over 200 plants today, we working again tomorrow and the next two weekends,” said Makaʻala Kanealiʻi, Kailapa Hawaiian homesteader and President of the Kailapa Community Association, who organized the workday. The plants will serve as landscaping for a future community center and park, but will also hold the soil and decrease erosion from high winds and heavy rains. Native plants will not only beautiful Kailapa but serve to prevent erosion. 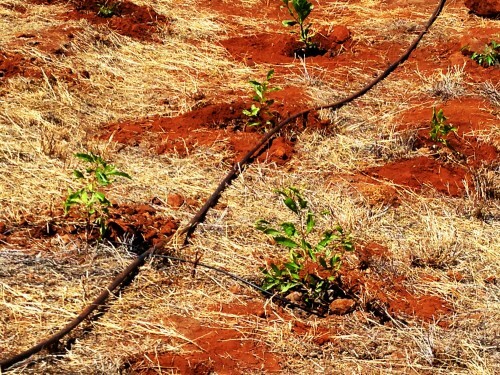 All plants were propagated in Kailapa, allowing them to adapt to the areas climate conditions. The goal is to plant 1,200 native plants by the end of the month. 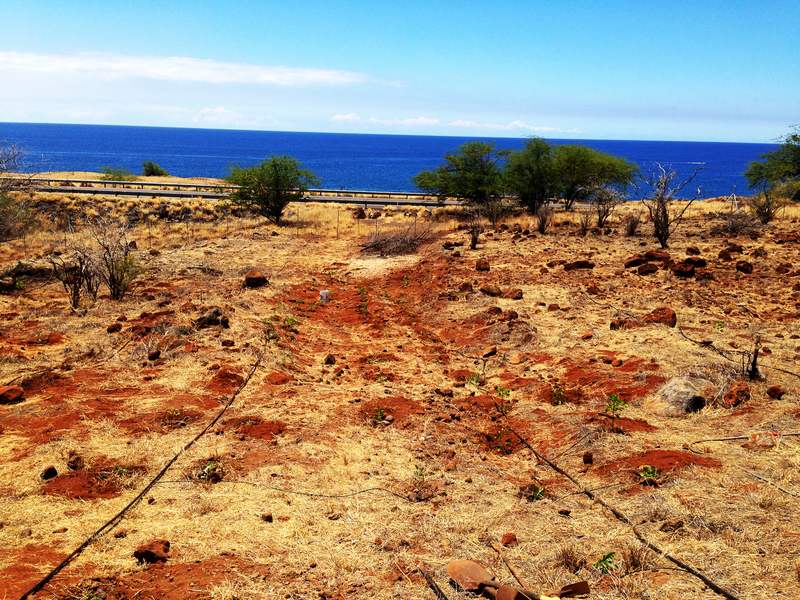 ʻAʻaliʻi, wiliwili, and pili grass were planted today in Kailapa. If you are interested in growing native in Kailapa or would like to learn more, please contact Makaʻala at (808)640-3195. Volunteers will be meeting tomorrow (and the next two weekends) at 7:15 a.m. at 61-4016 Kai Opae Place, off Akoni Pule Highway in Kailapa Hawaiian Homestead. 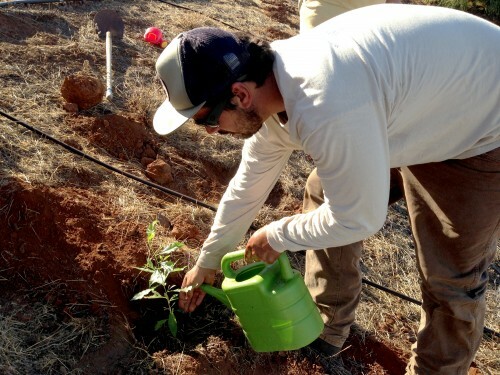 Donʻt forget to bring gloves, hat, sunscreen, water cup, shovel, ʻoʻo pick, or other planting tools. Water and snacks will be provided. The Kailapa Community Association mission is to empower Native Hawaiians living in Kohala, specifically the Kailapa Community, supporting physical, mental, spiritual,a nd cultural health and well-being. For more information visit kailapa.org.